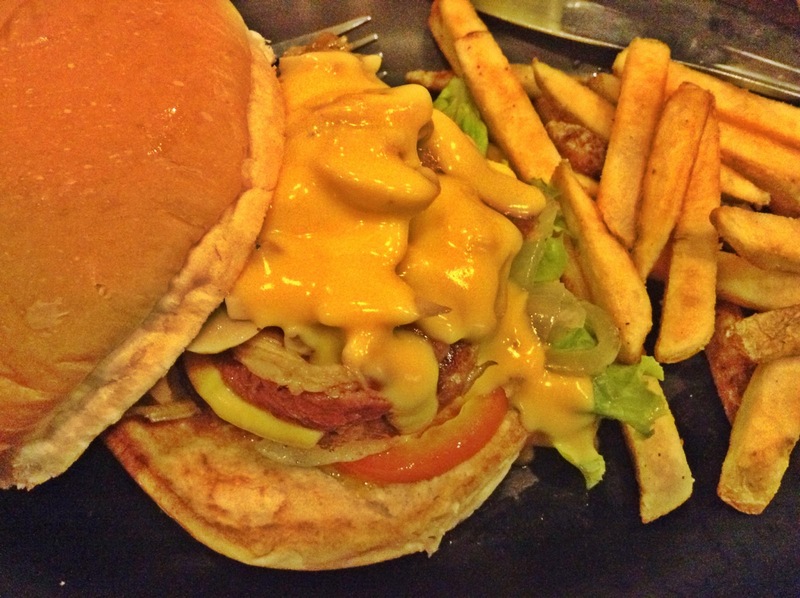 I have been meaning to go at Zark's to try their famous burgers for quite some time now. So finally when we were around the area (we were in World Trade Center for a shopping bazaar), we decided to go there. 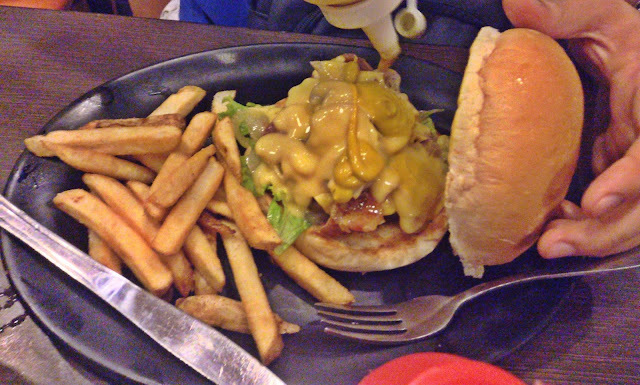 After shopping, both of us felt the hunger and wanted to eat something heavy--so off we went to Zark's (Taft branch)! Because when in doubt, opt for burgers! We went there on a Saturday, that's why we were not surprised to see a long line of people waiting to be seated. We waited for an hour just to be seated though. That's why our hunger even worsened. If it weren't really for their famous burgers, we immediately went out the second we saw the queue. Being the Spam-lover that I am, I ordered the Rock Bottom: it's a cheeseburger with Spam and fresh vegetables. It also comes with fries. The boyfriend ordered Zark's Ultimate Burger which is apparently their best seller. It's a 1/4 pound burger with cheese sauce in a bed of fresh vegetables and then topped with sauteed mushroom and bacon. Here in this photo, he's pouring mustard sauce, because that's the way he likes it. Lol. 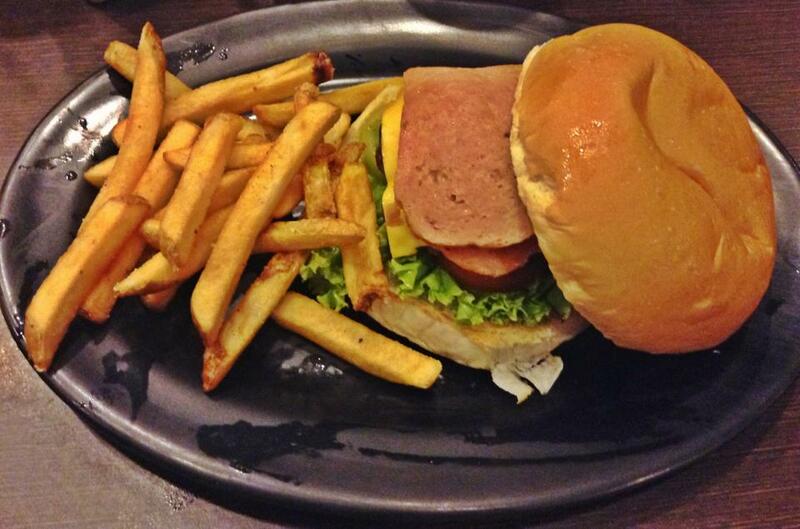 Zark's offers 29 different kinds of burgers, but they also have rice meals, and of course, ribs and steaks. 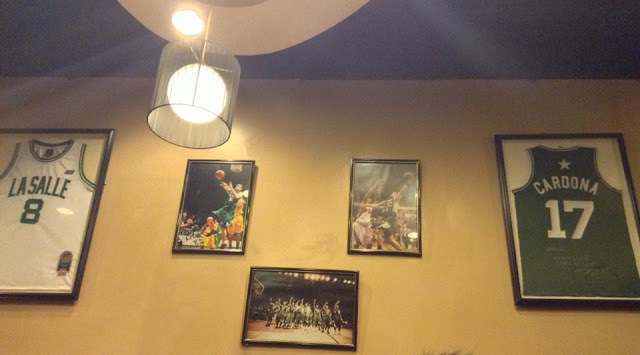 Apart from that, they also serve hot dogs and sandwiches and desserts. 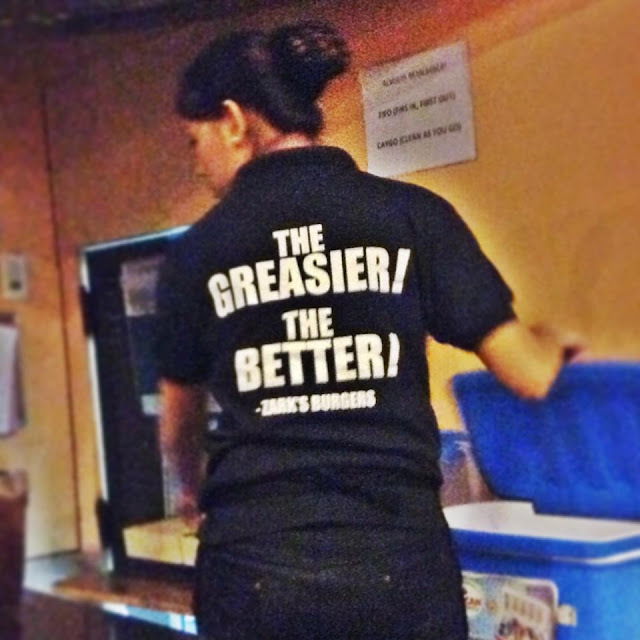 But just a suggestion, why not go for the thing they're well known--burgers. Click here for the menu.